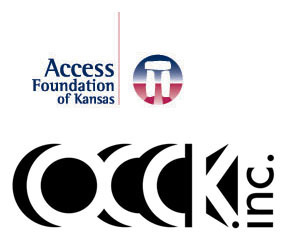 Match Madness :: OCCK, Inc./Access Foundation of Kansas, Inc.
OCCK, Inc./Access Foundation of Kansas, Inc. The Foundation will seek private contributions and grants, carryout special projects, and manage and invest resources so that the funds derived may be used to provide people with disabilities greater access to community life in Cloud, Dickinson, Ellsworth, Lincoln, Jewell, Mitchell, Ottawa, Republic and Saline counties. Service Mission – Promote and contribute to the success of our customers. Community Mission – Exercise and/or influence leadership in the creation of quality communities. Economic Mission – Ensure our financial success so that our customers can be successful.